I’ve been looking through my images of late and noticed that there’s a distinct correlation between my age and the frequency of macro shots of fish. In fact, in the last few years, any close-ups tend to be sessile invertebrates only. I guess I simply can’t see the tiny fishes anymore with my current contact lens prescription/diving mask interaction. So, in case I never see ‘em again, here are some tiny fish from the Red Sea. 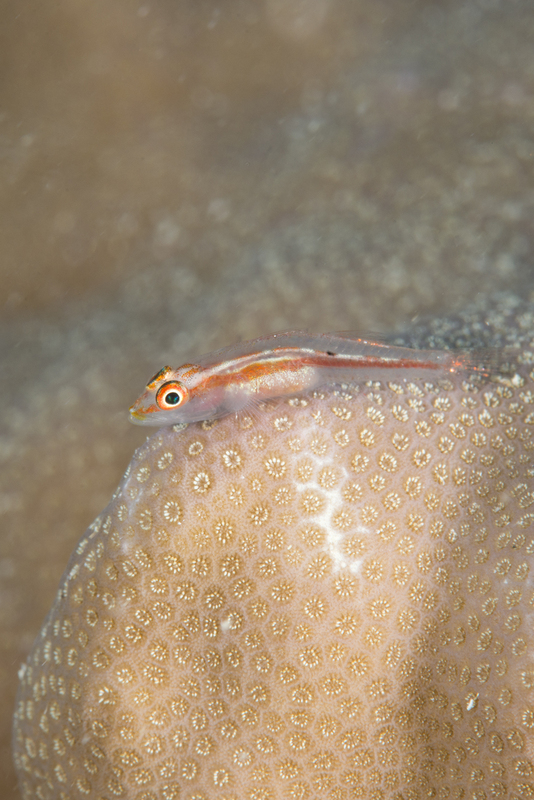 My first fish is Bryaninops natans, a small goby found all the way down to the Great Barrier Reef. This almost translucent character reaches about 2.5 centimeters and spends its days hanging around in the branches of acropora. 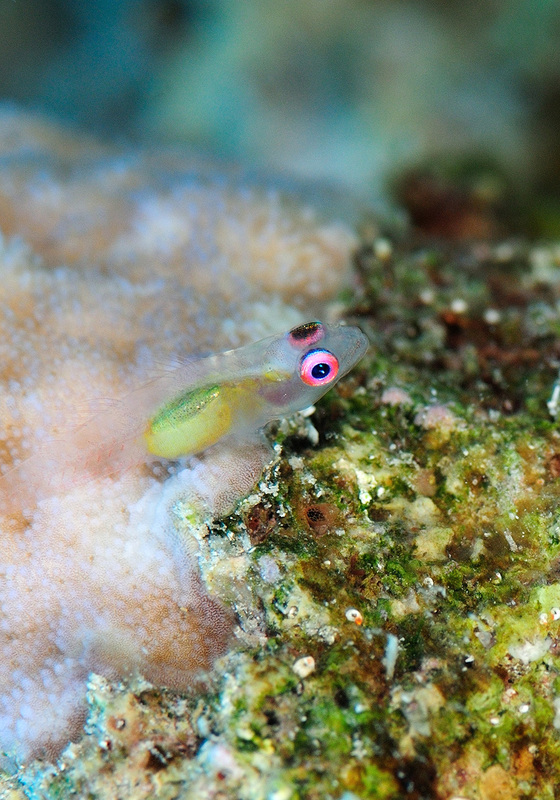 Its common name is Redeye Goby, which is a little incorrect if you look at it. 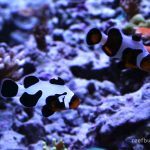 These fish are surprisingly common, but hard to shoot. They are timid, and as you need to be so close to them; any movement, from you or the subject, can cause blurring. Secondly, I have what I think is Pleurosicya mossambica, the Common Ghost goby. These are super abundant and are always found resting up on corals including Milleporids (fire corals). 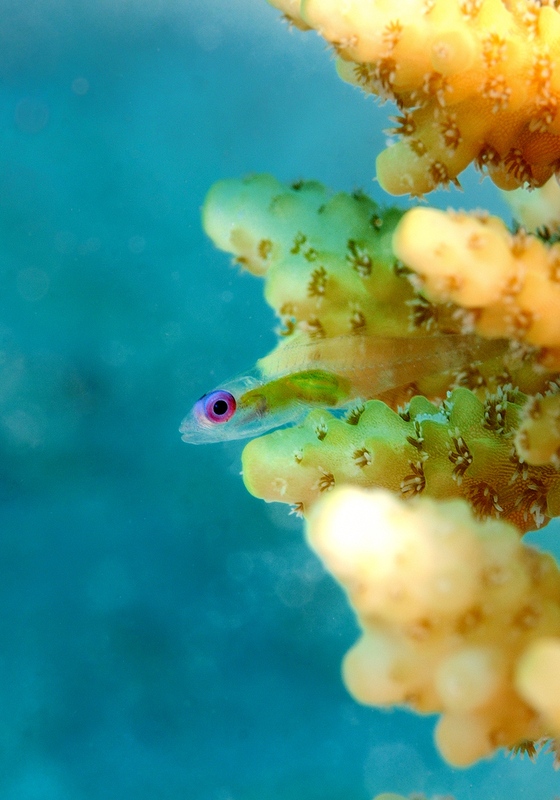 These fish seem to almost live a two-dimensional existence, and as you approach some corals you can see them scooting away across the coral’s surface as if attached to it. 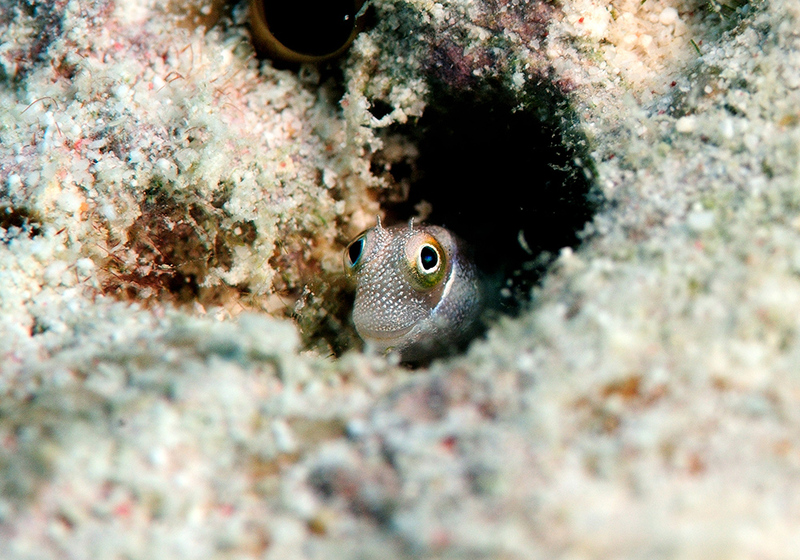 Peeking out from this rock crevice is a charming wee fish, the Bluebelly Blenny (Alloblennius pictus). 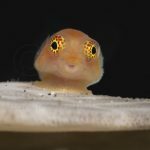 Most photos of these fish show them sheltering in holes which, due to their large staring eyes, lends them a comical appearance. My last fish isn’t as tiny as the others, but it is adorable. 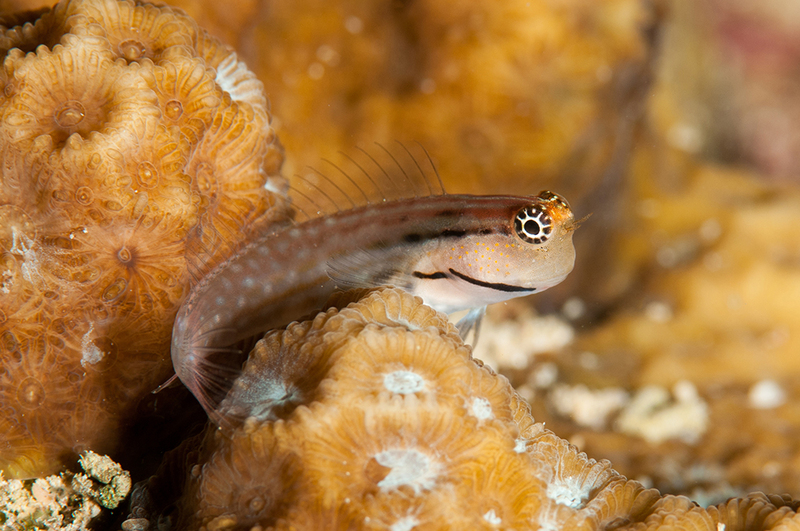 This is Ecsenius dentex, the Dentex Blenny. 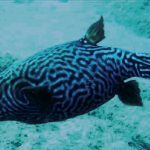 My guide book suggests this fish is from the Gulf of Aqaba only, but I’m sure this image was taken a little further south, into the main part of the northern Red Sea. 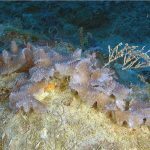 The similar E. nalolo replaces it from the central Red Sea down the coast of Africa. Richard lives in Scotland where he works as a freelance writer and photographer. 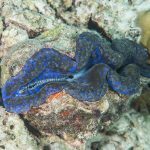 Richard writes for several magazines on topics as diverse as scuba diving, travel and wildlife.